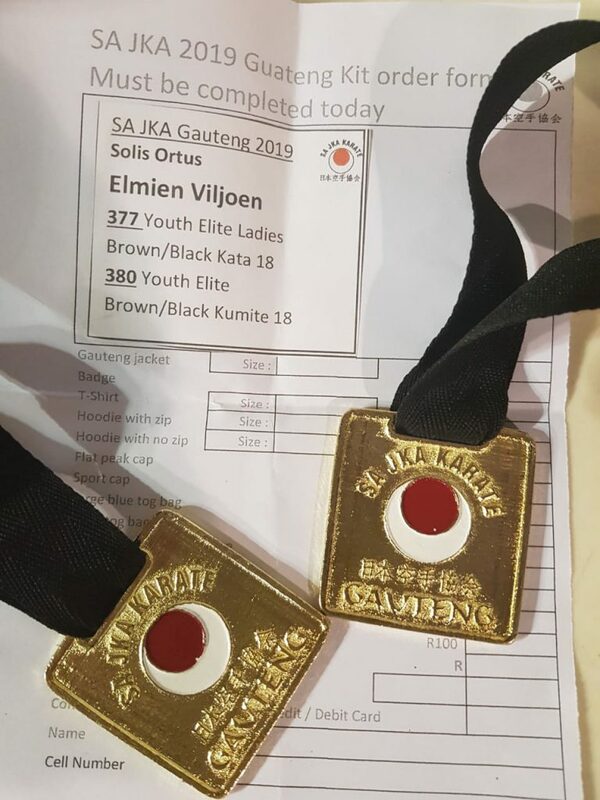 Solis Ortus students attended extra training on Friday afternoons to sharpen their karate skills and technique to prepare for JKA Gauteng. 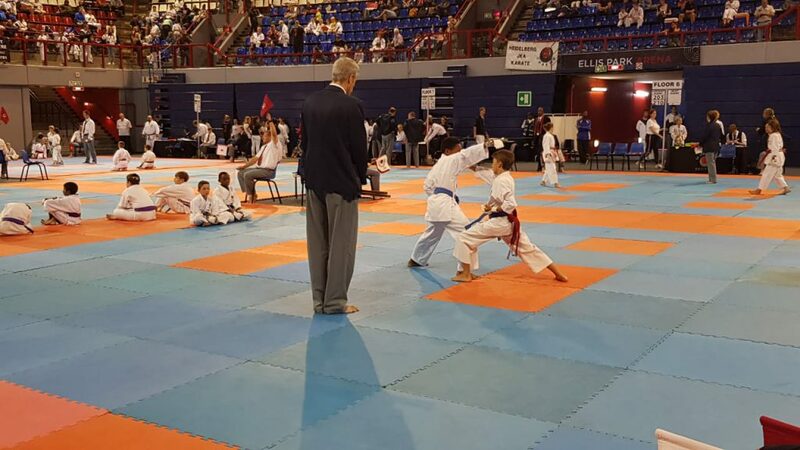 This tournament was held over two days and our youngsters who participated on the Friday were all too happy to miss the last day of school. 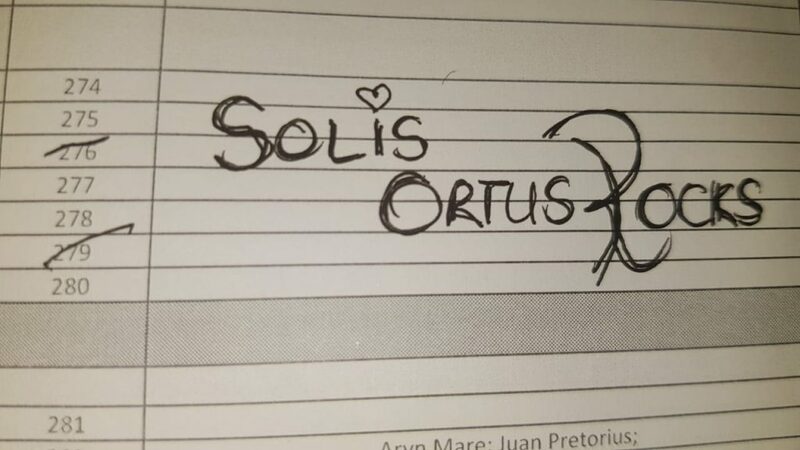 On Friday, Solis Ortus had a total of 145 entries!!! 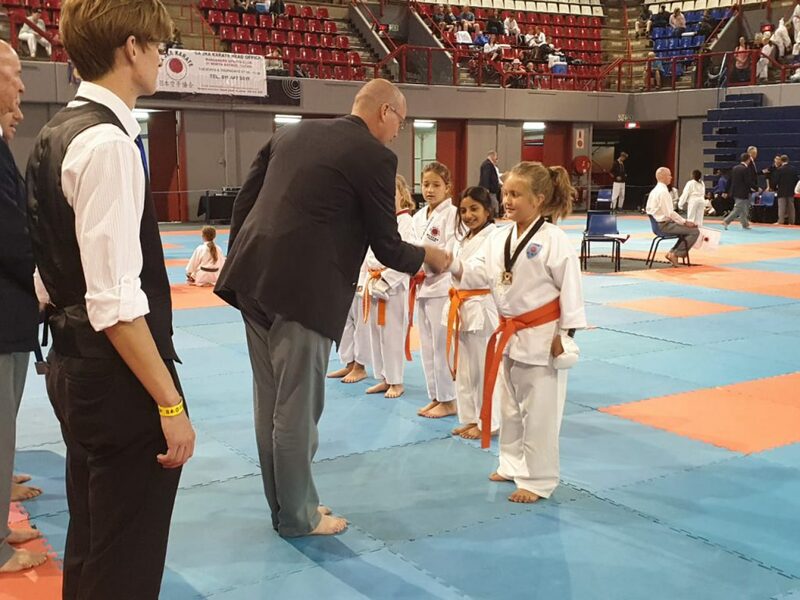 The day started off with our young white, yellow and orange belts. 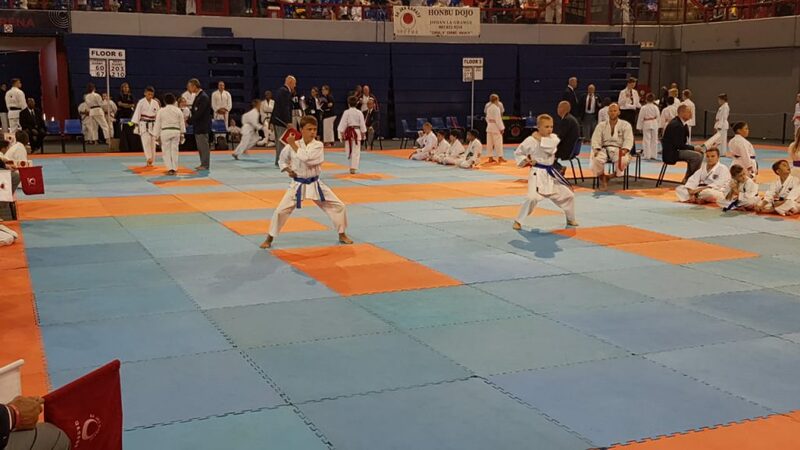 Some students competed for the first time, showing immense control over their emotions and their ability to shine was super nova bright. 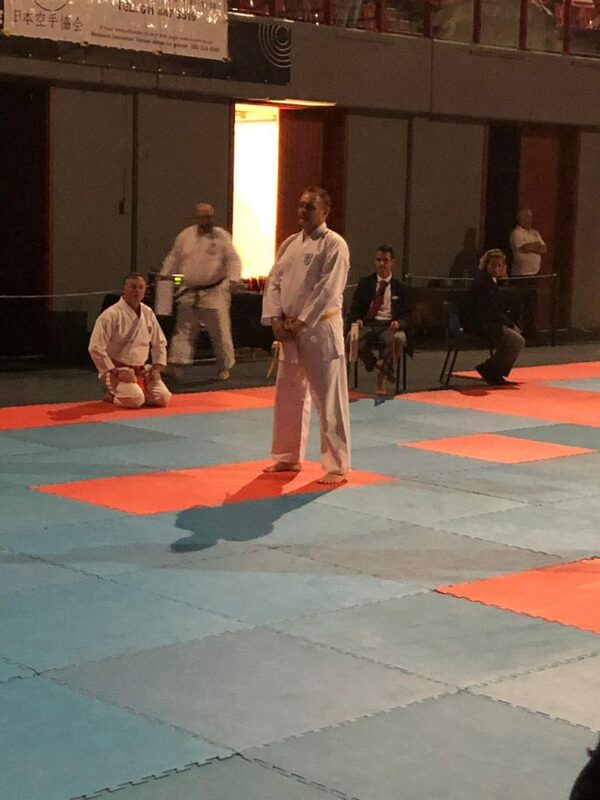 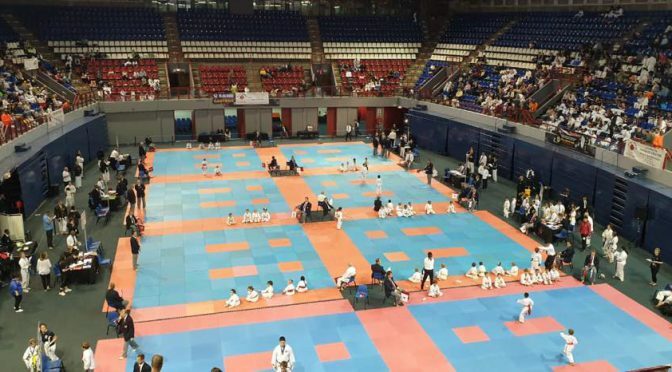 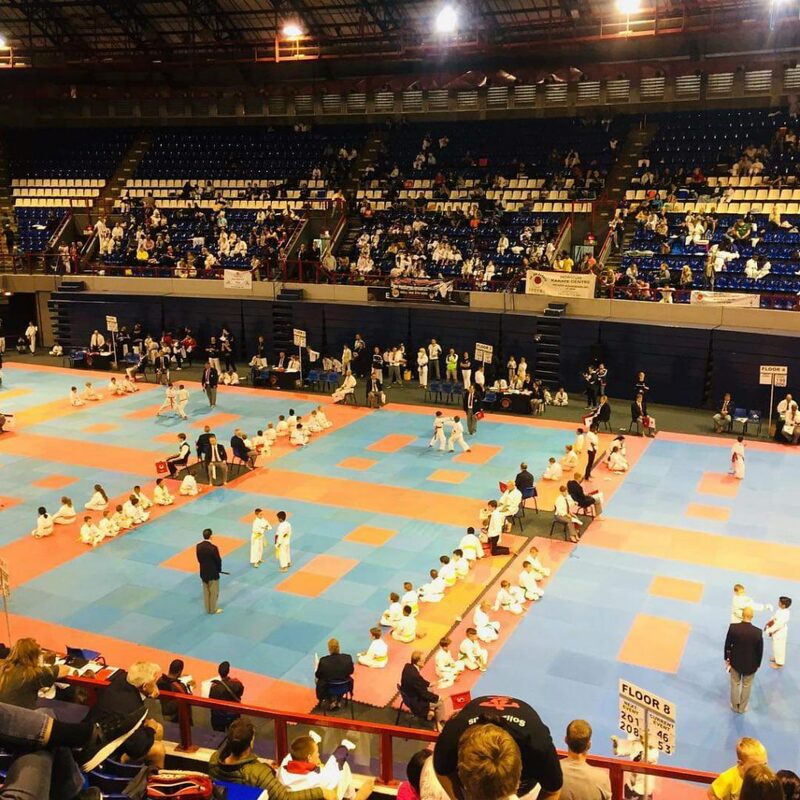 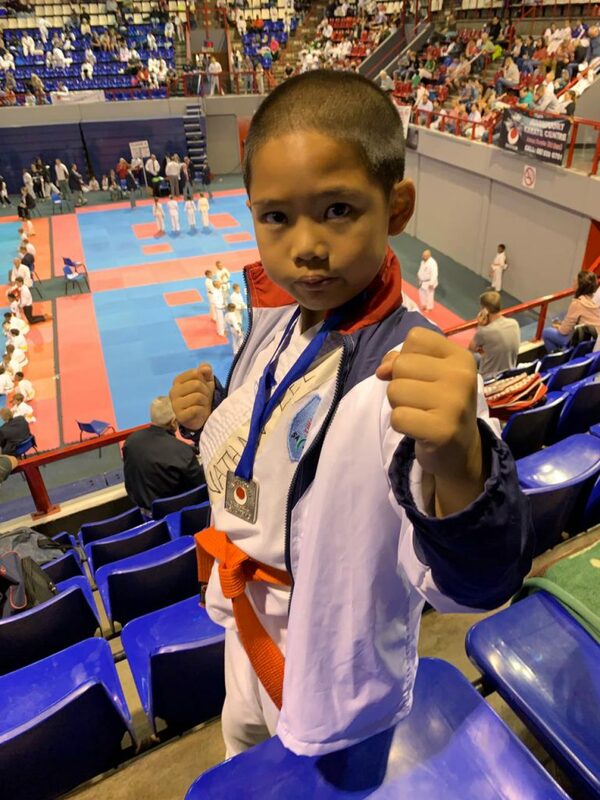 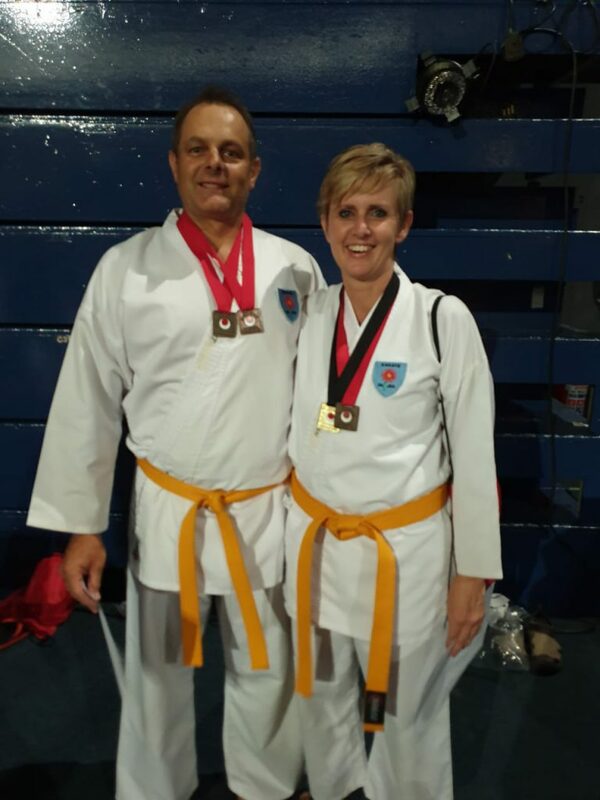 The Solis Ortus parents made sure that the karatekas were at the hall in time; everybody was relaxed and ready to do what they trained for. 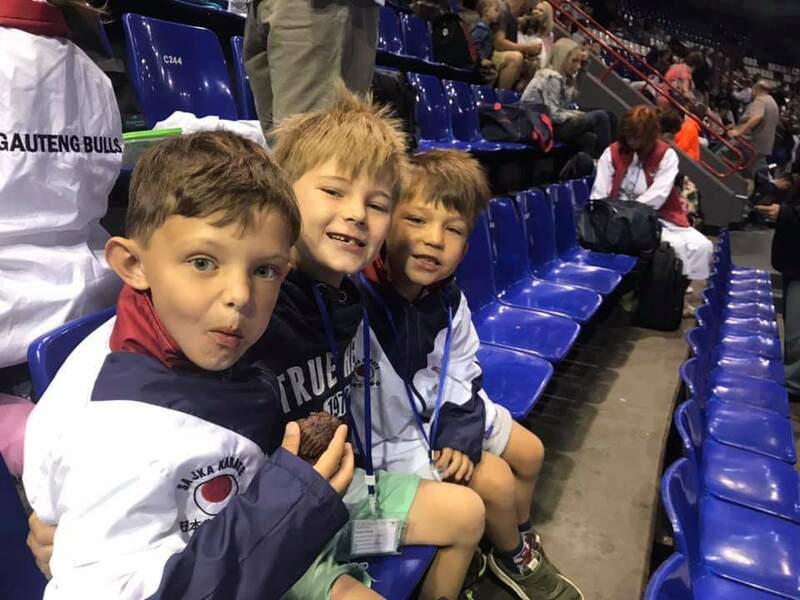 The whole Solis Ortus family sat together and helped to get everybody ready. 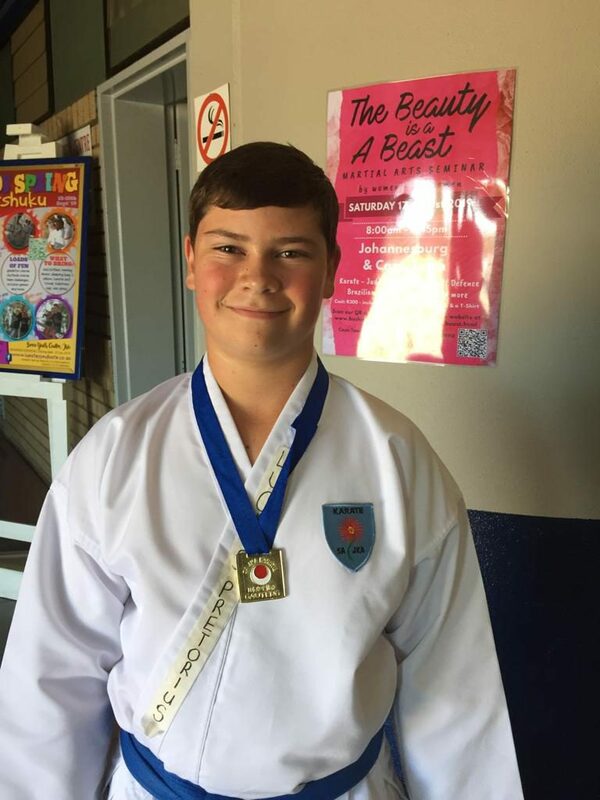 It so great to see how we rally behind our students, it gives you a sense of pride and a sense of belonging. 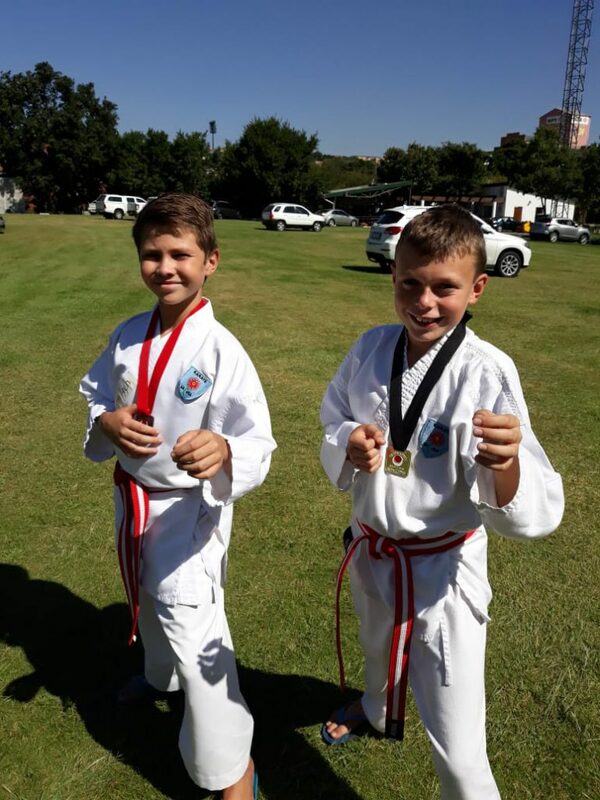 To all the students who participated on Friday – Well done guys. 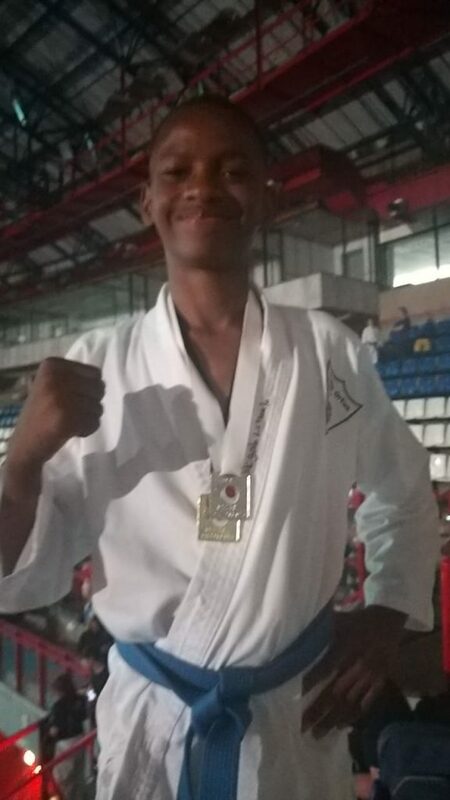 You were absolutely awesome!!!! 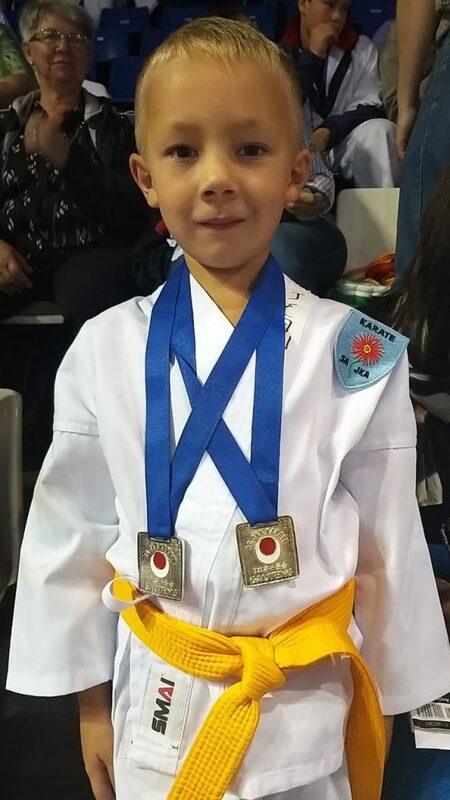 We hope you continue working for what you want to achieve!! 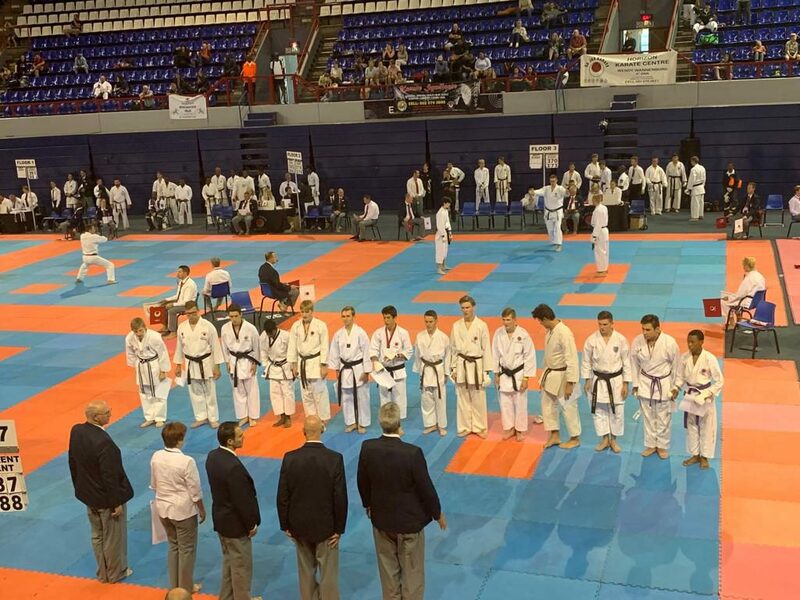 On Saturday, Solis Ortus seniors were part of 36 entries. 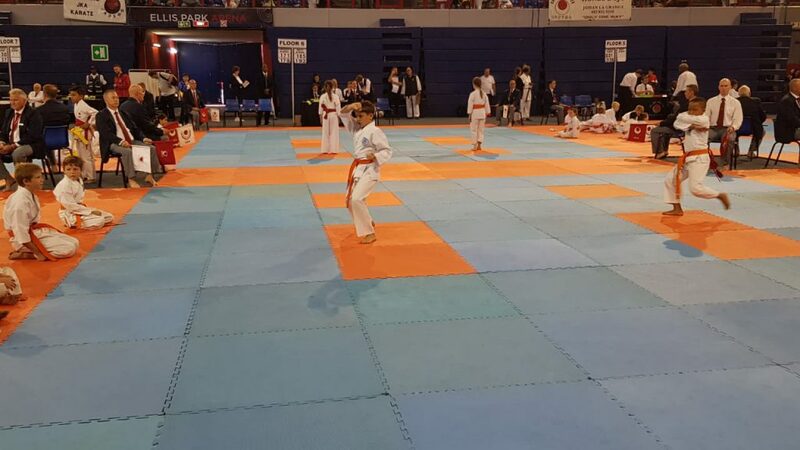 Competition was tough and the divisions were strong. 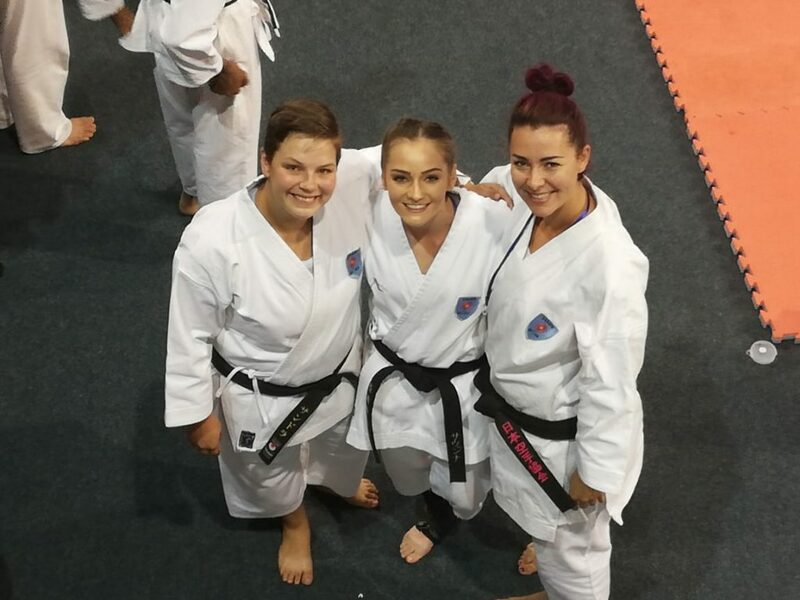 Some of our Seniors medalled, others qualified for Nationals and a few obtained the experience needed to grow and better themselves. 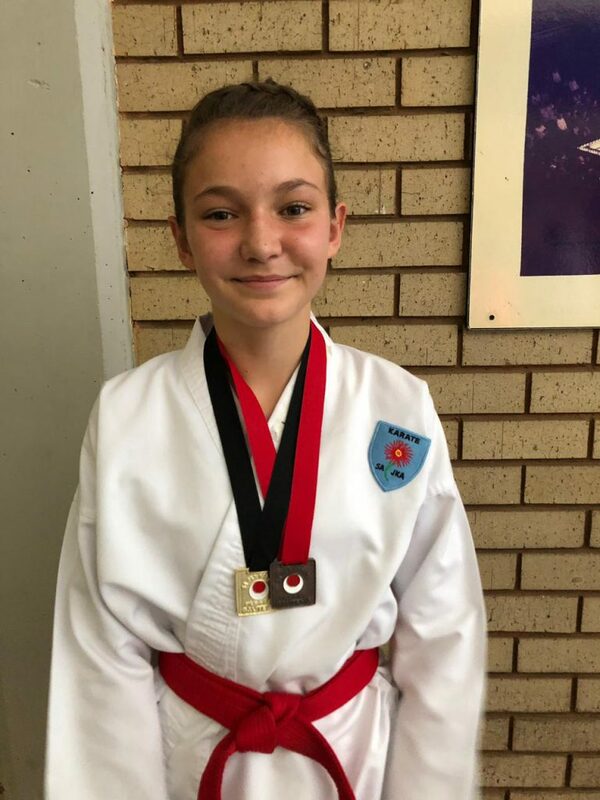 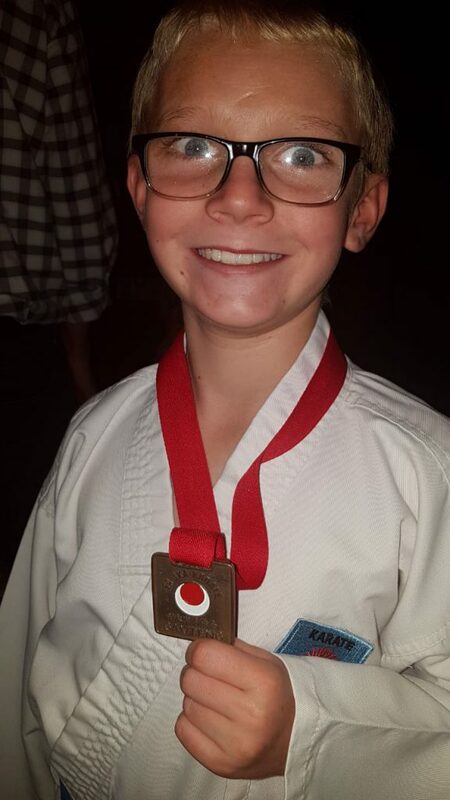 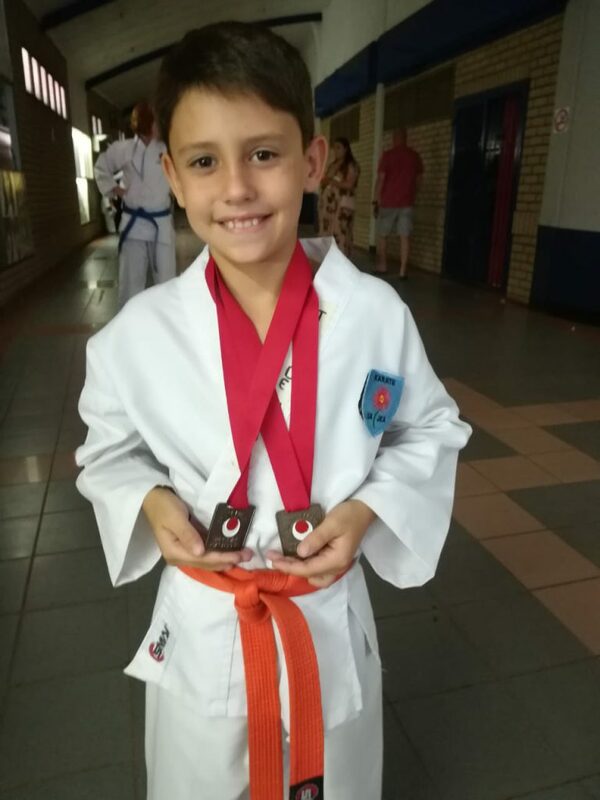 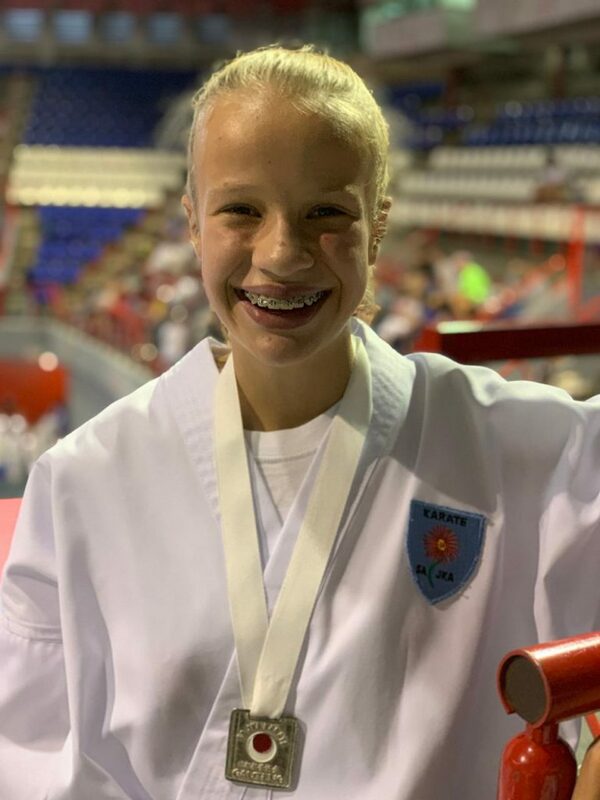 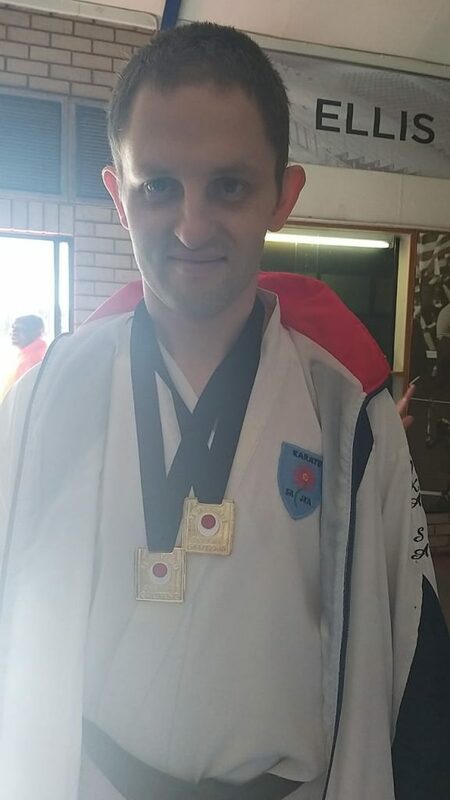 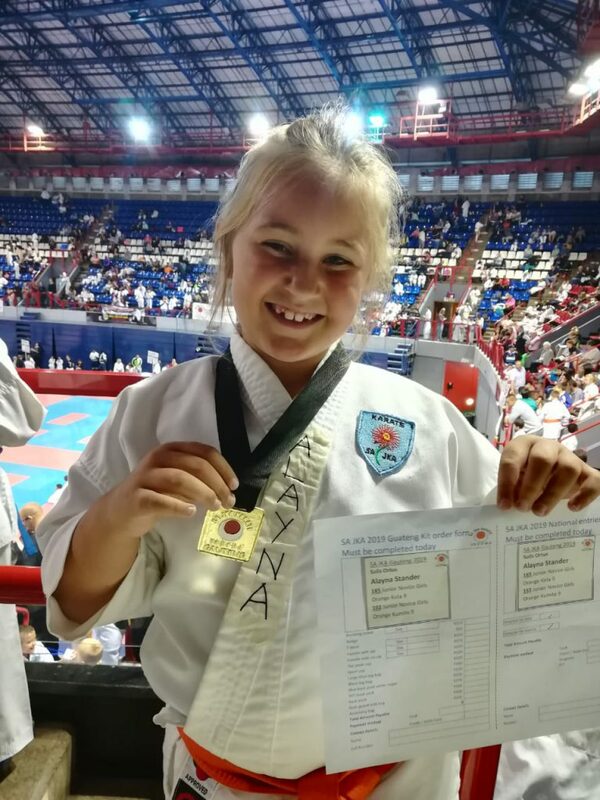 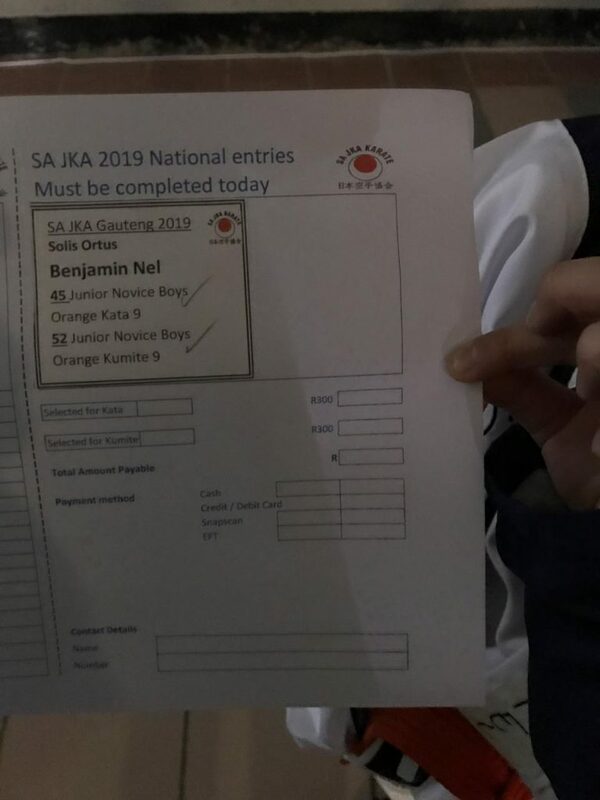 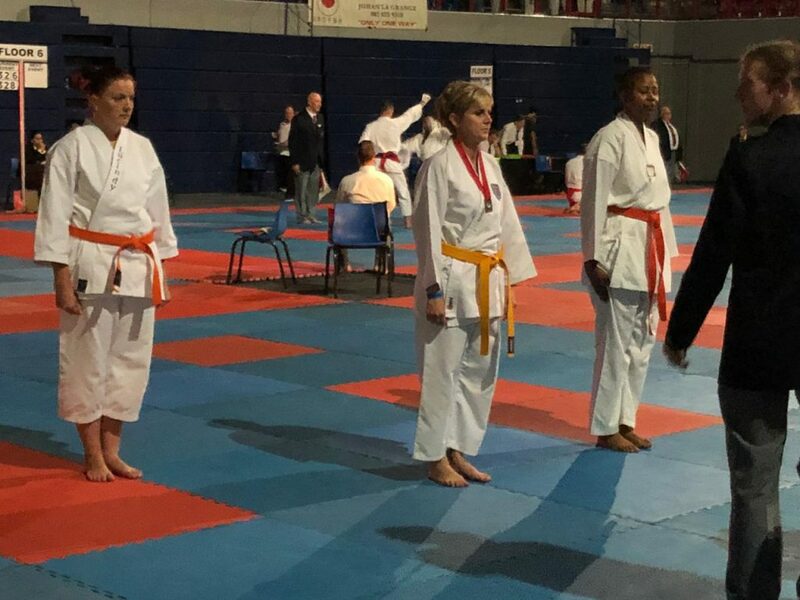 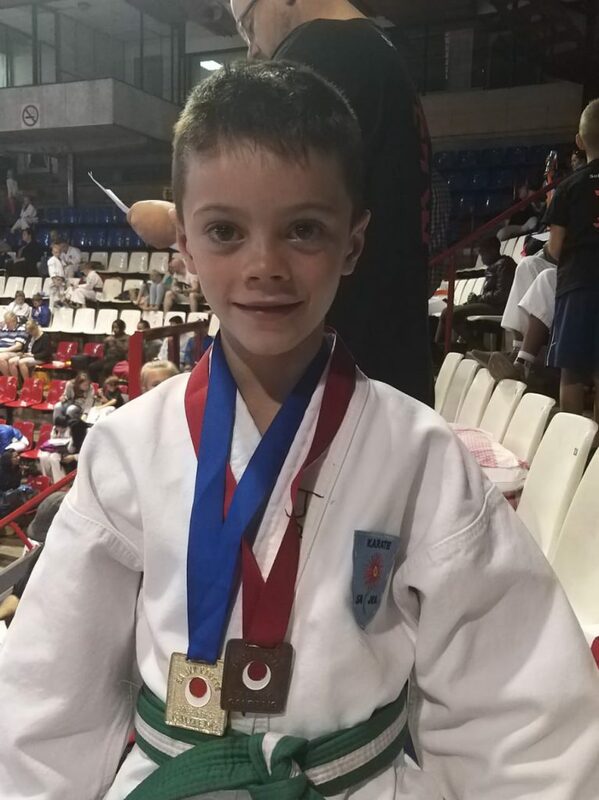 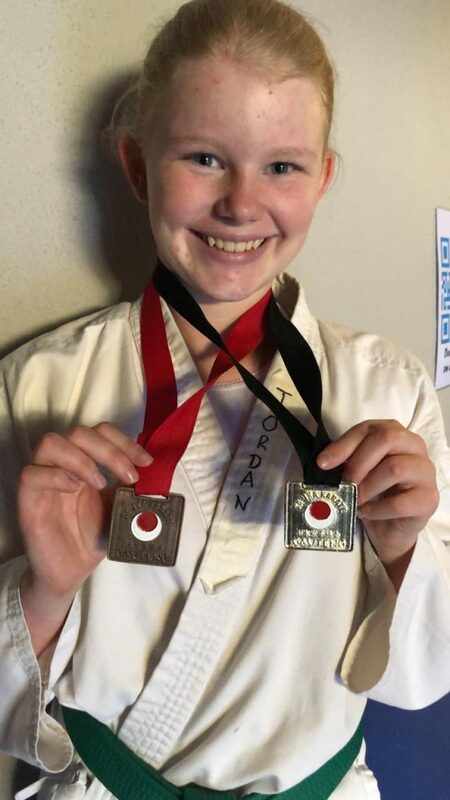 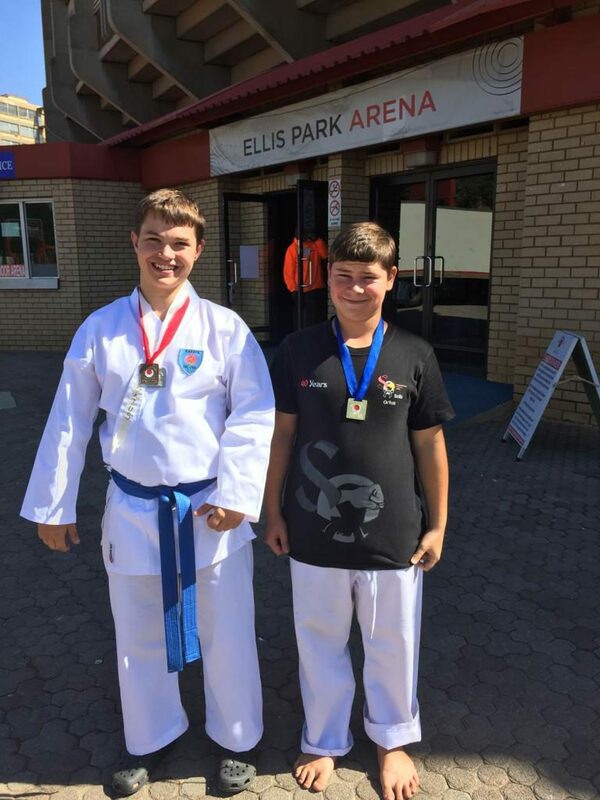 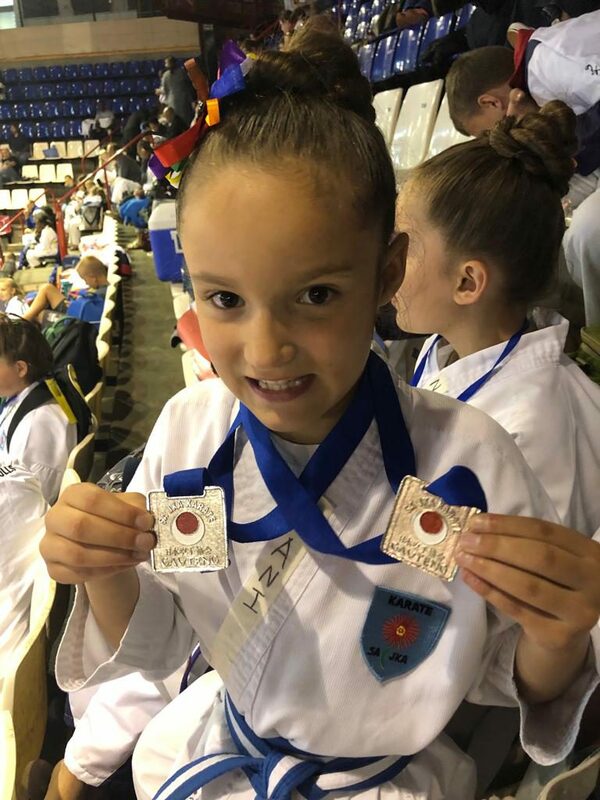 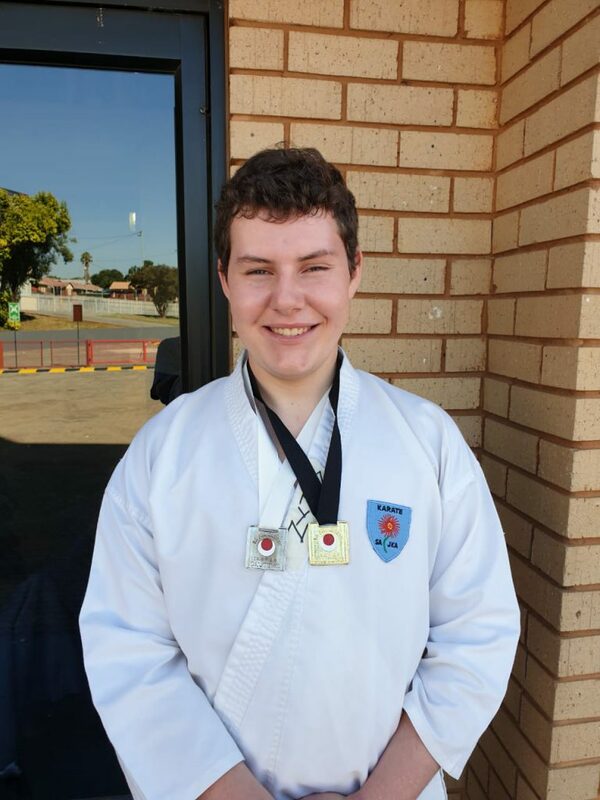 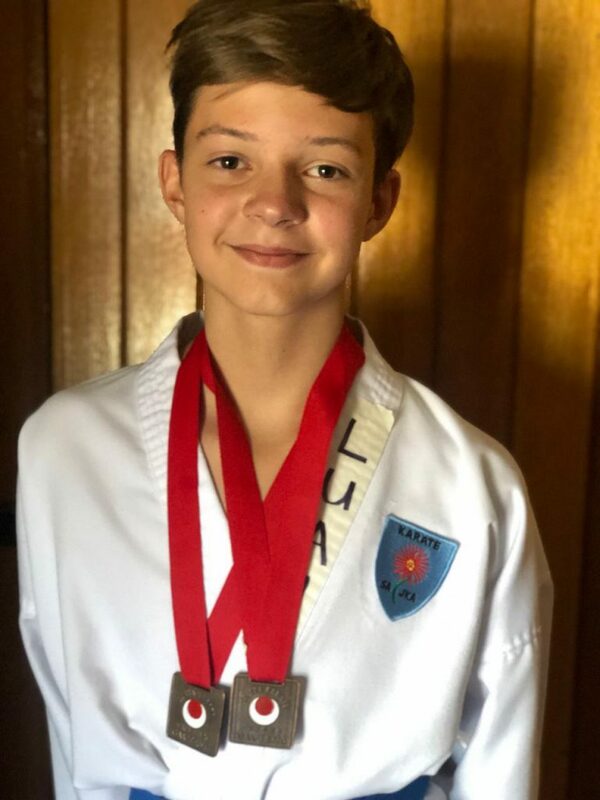 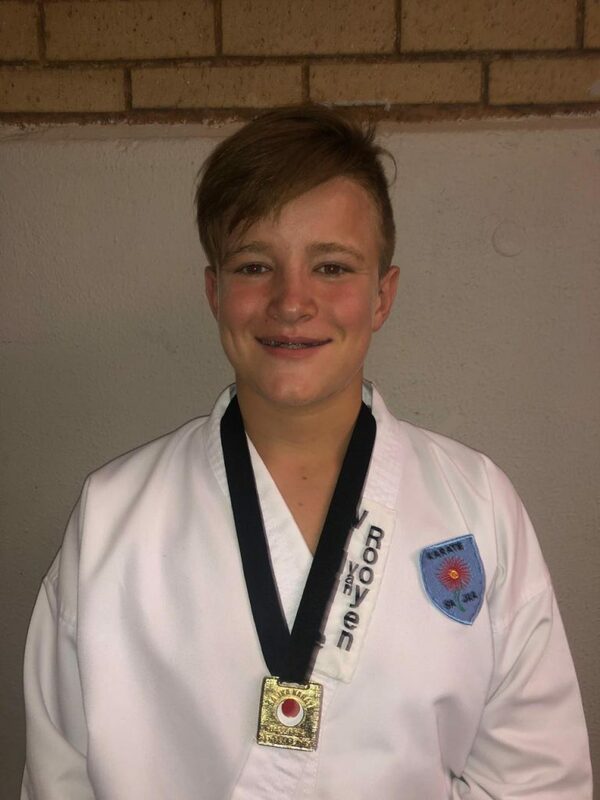 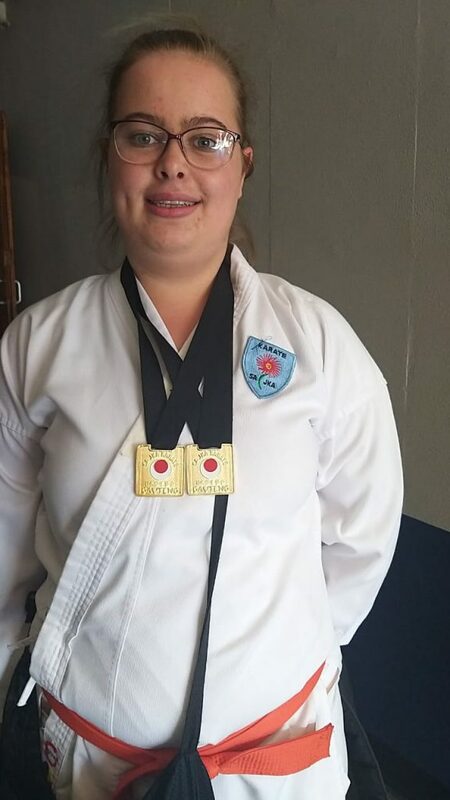 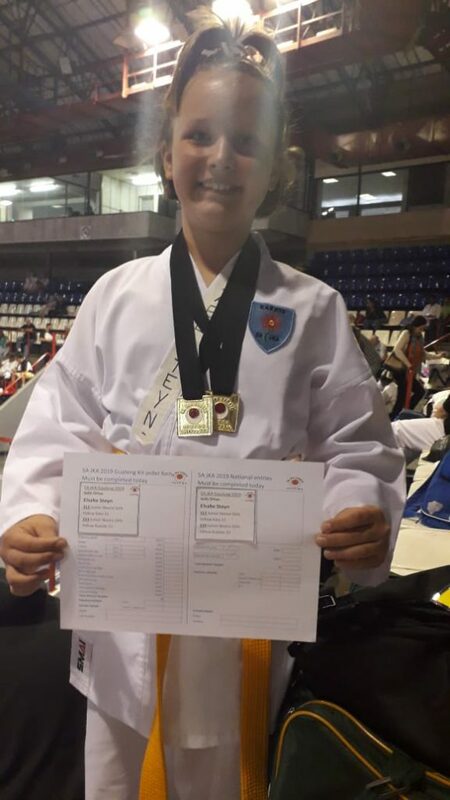 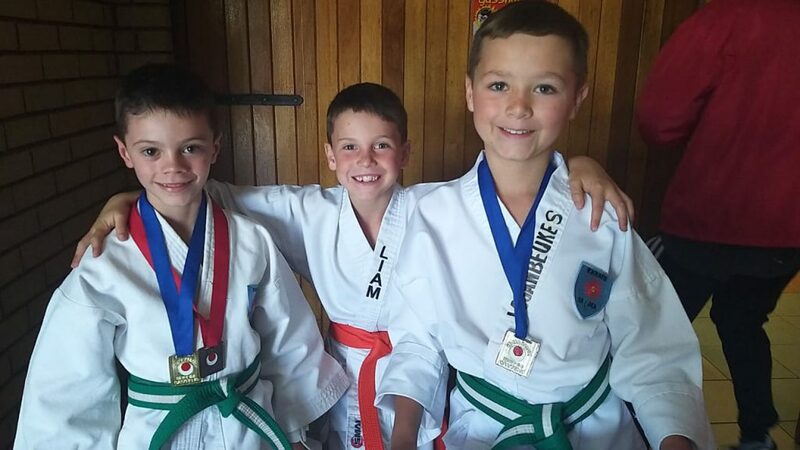 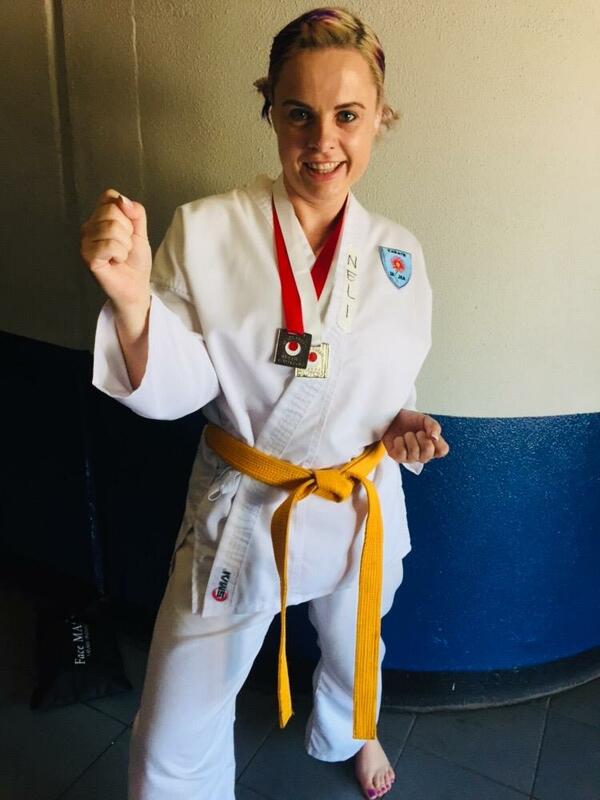 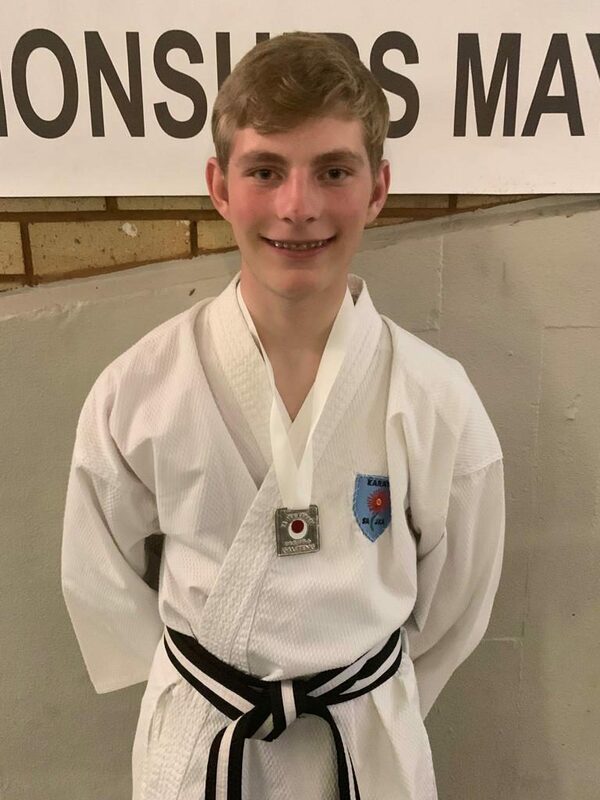 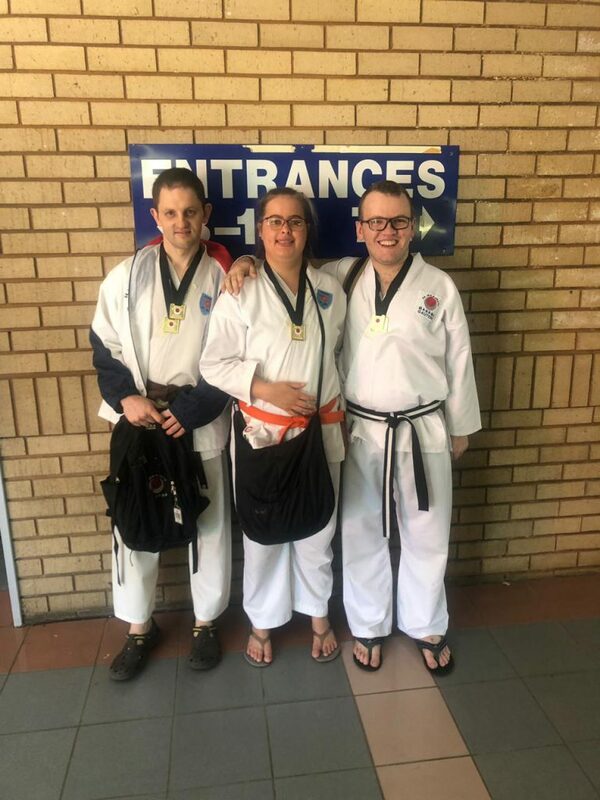 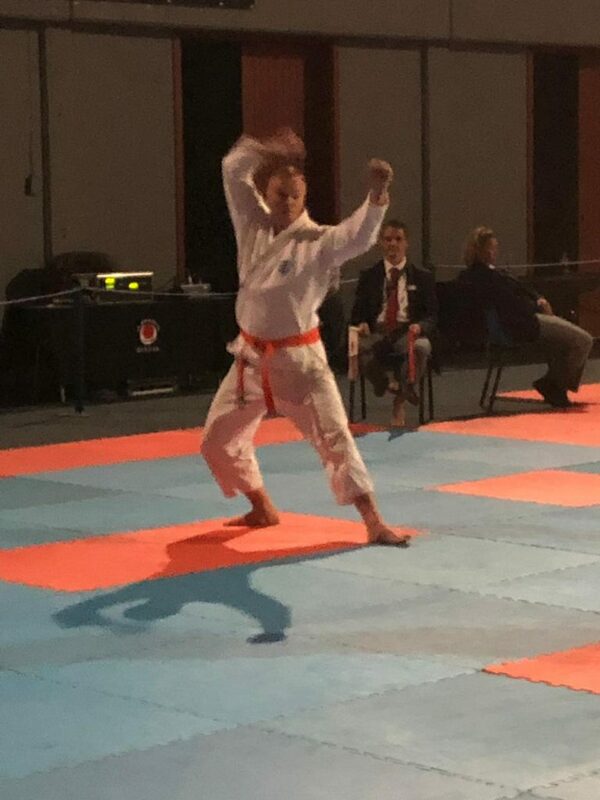 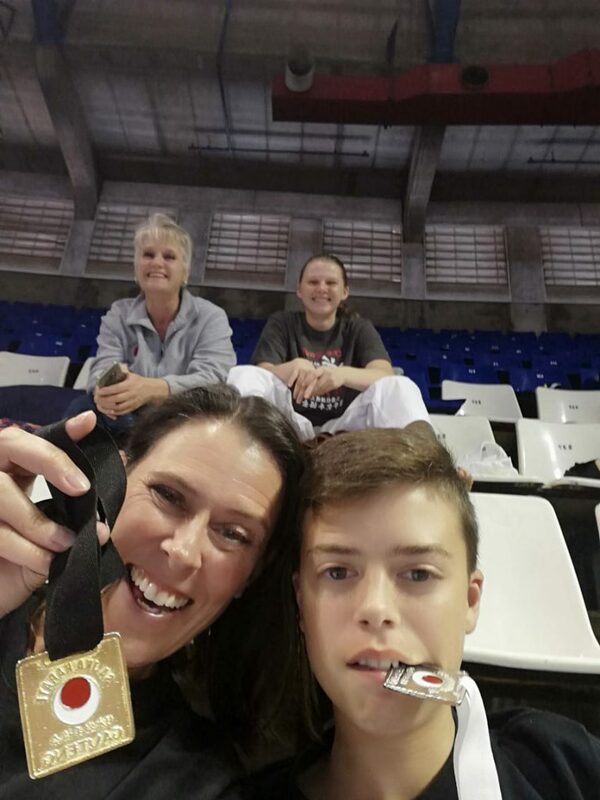 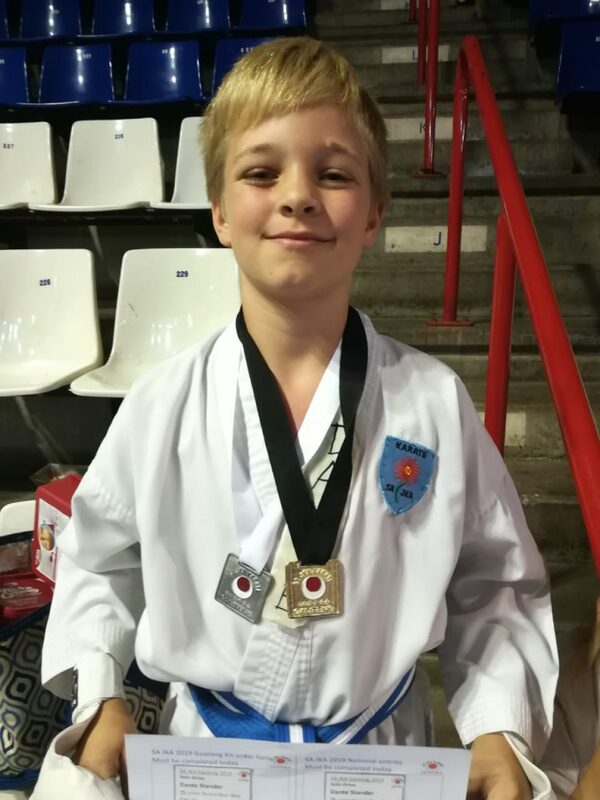 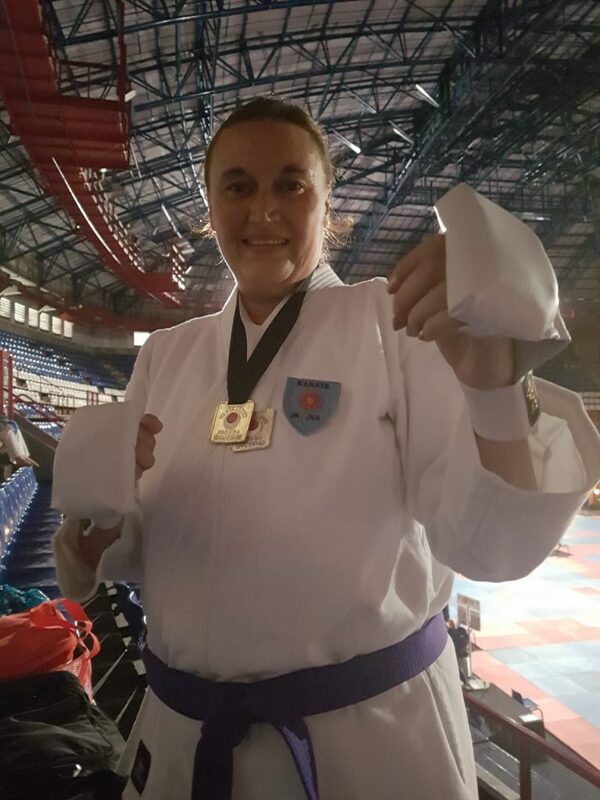 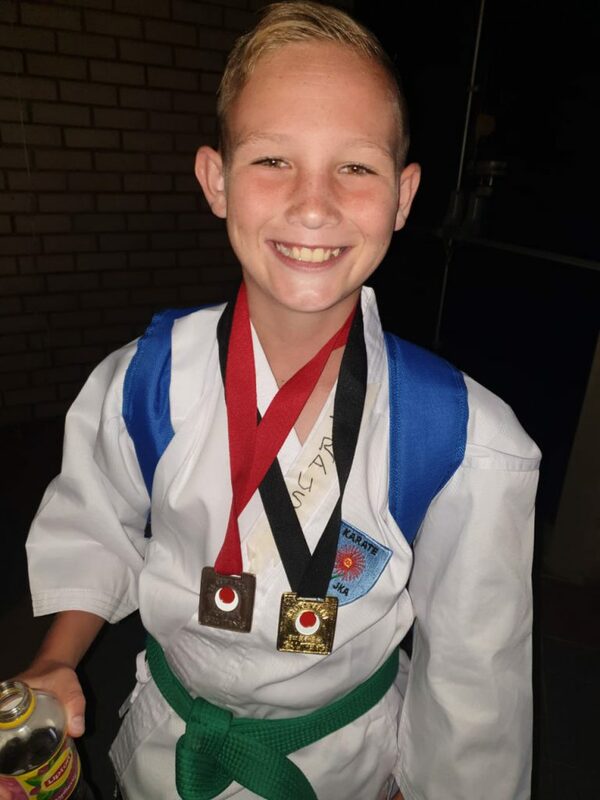 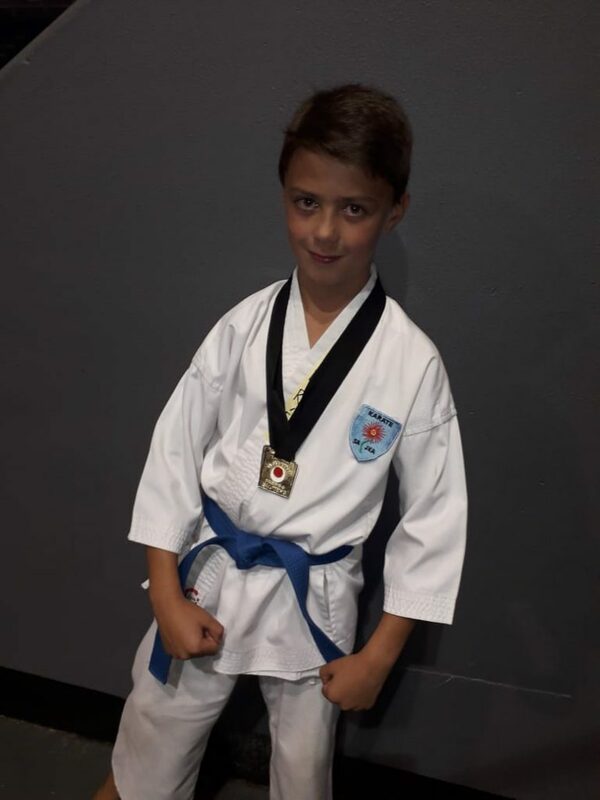 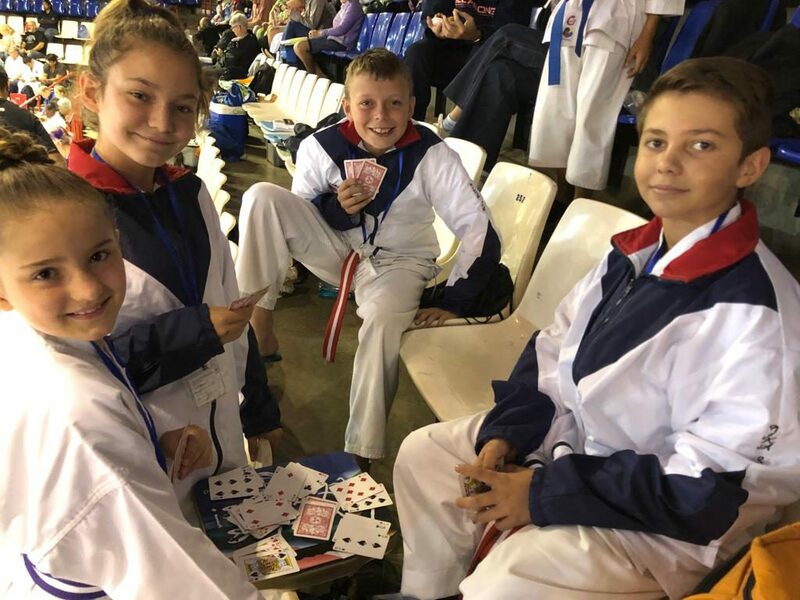 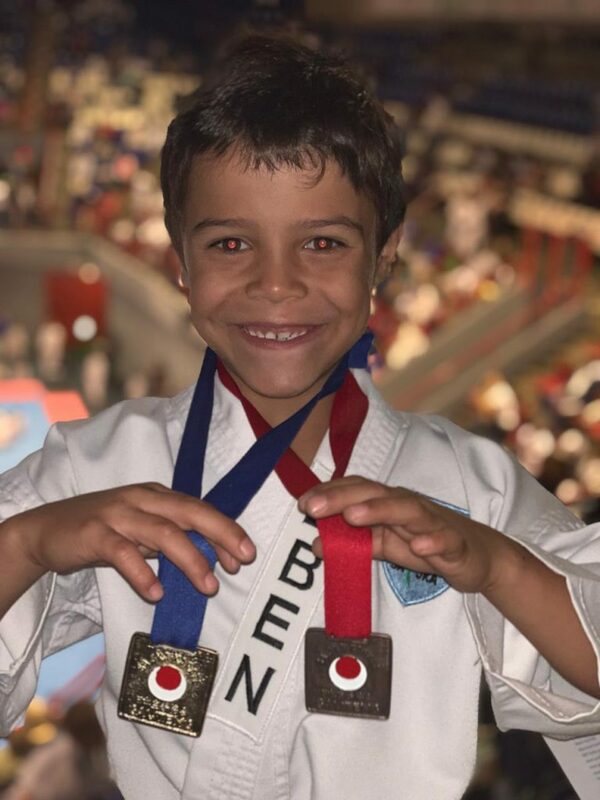 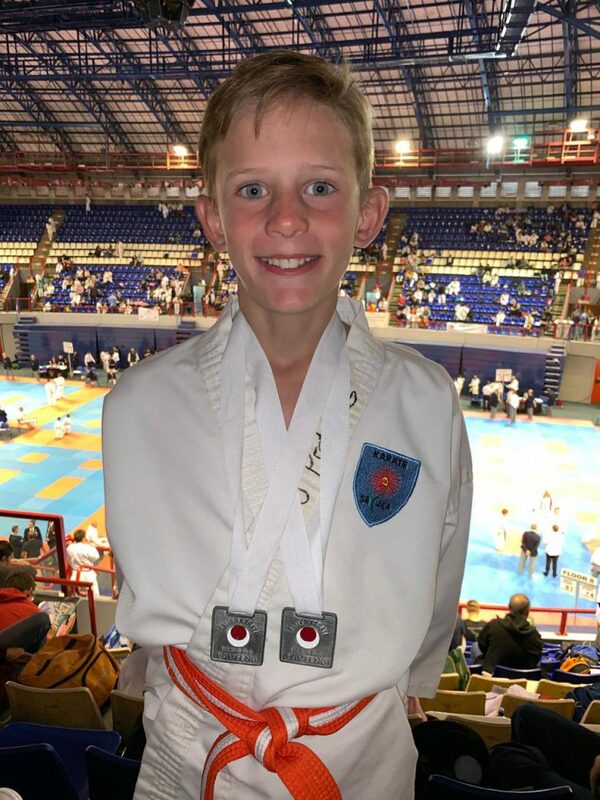 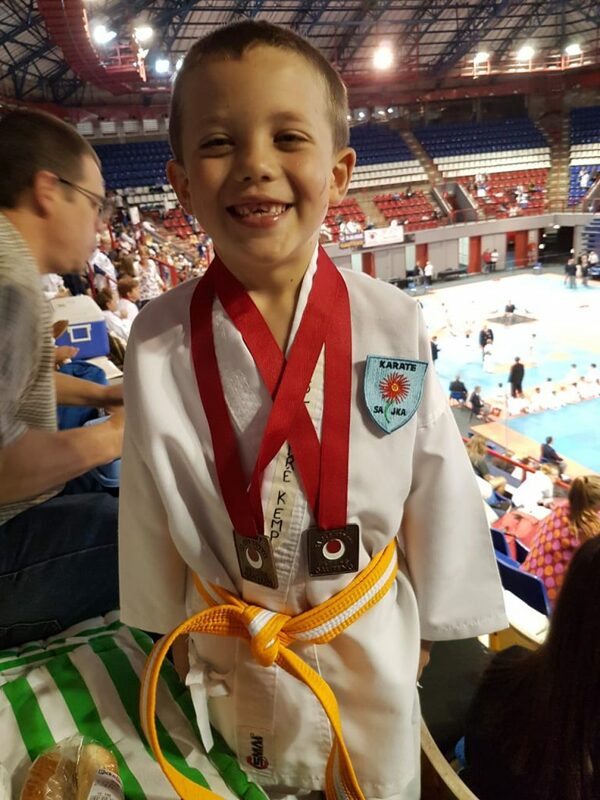 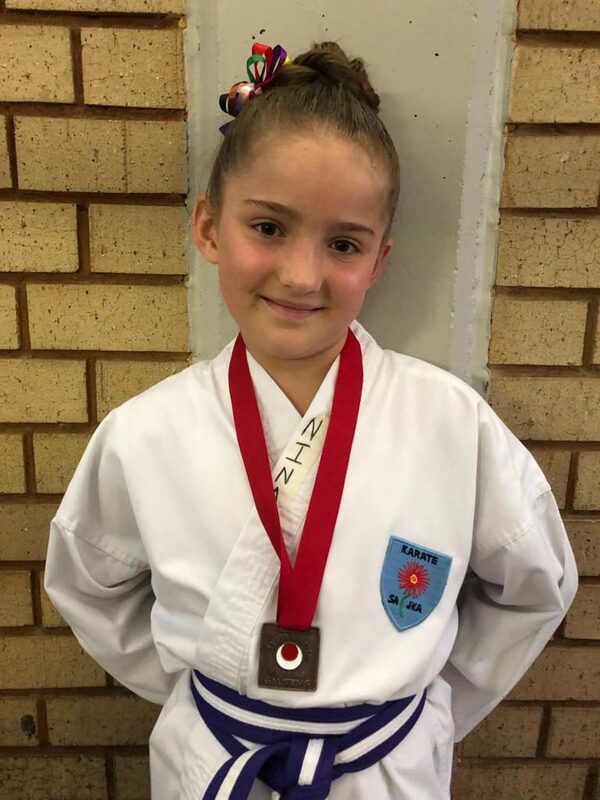 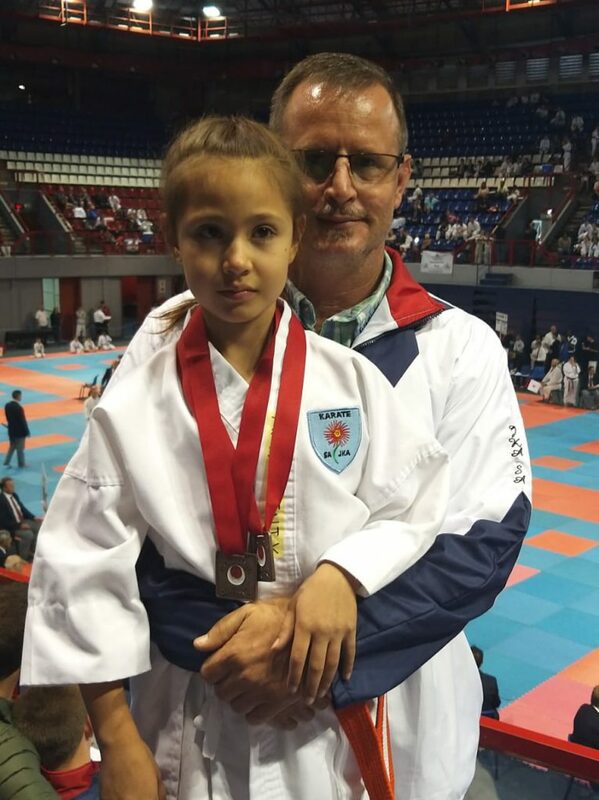 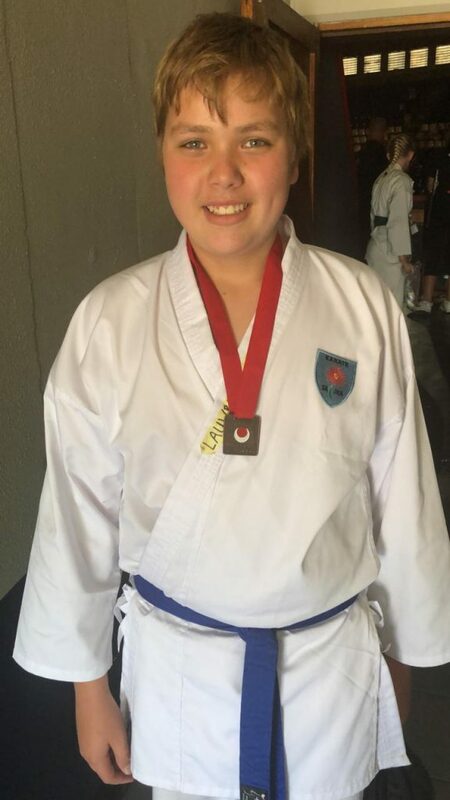 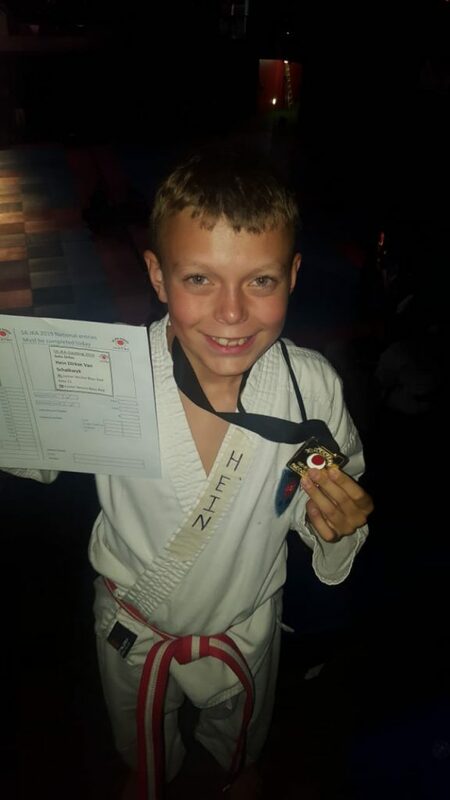 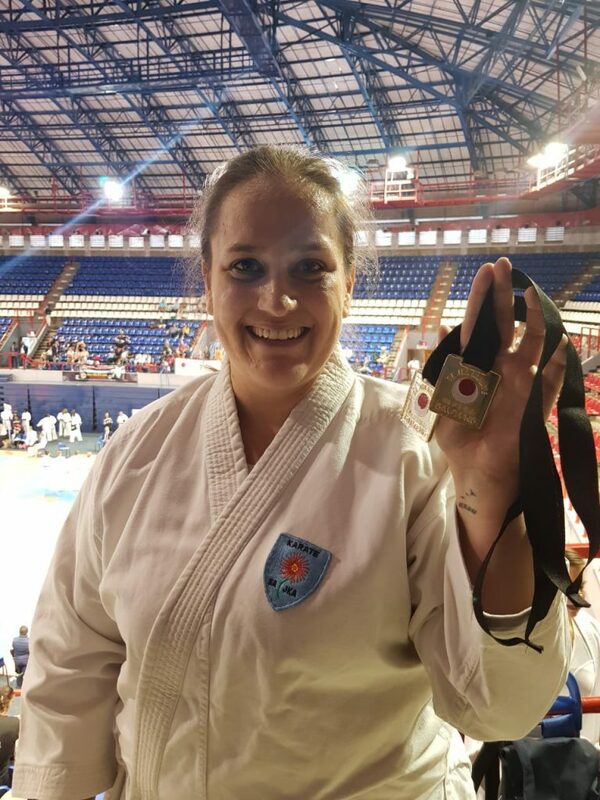 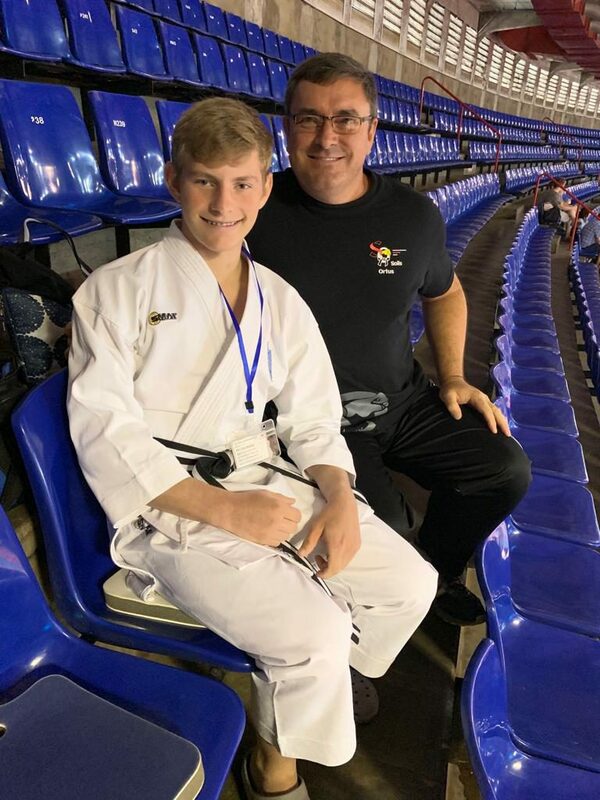 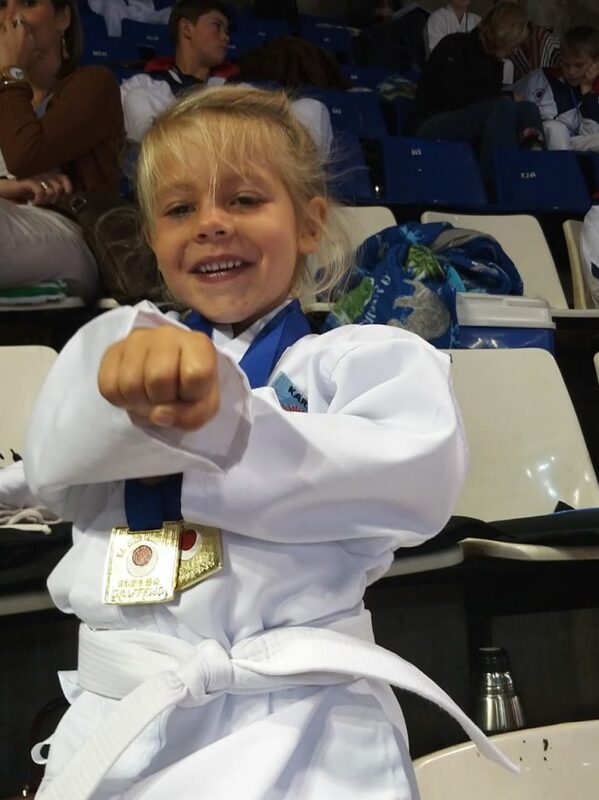 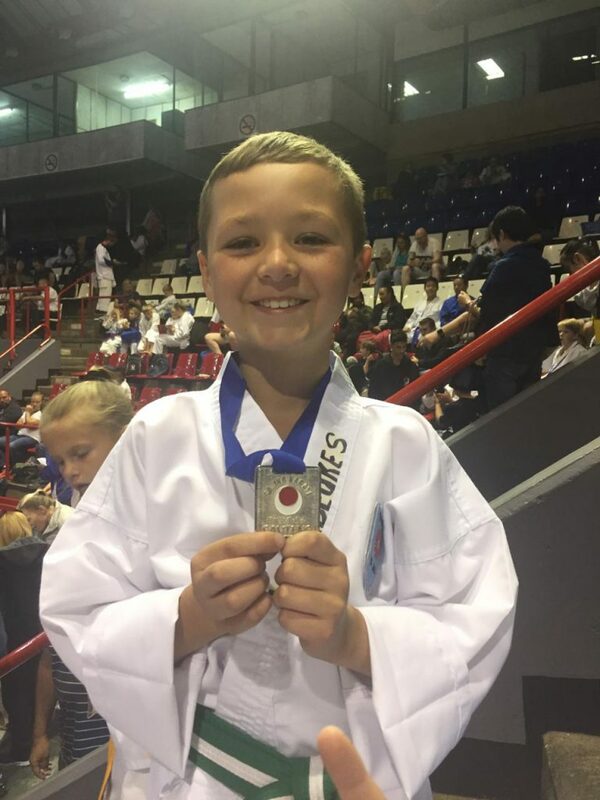 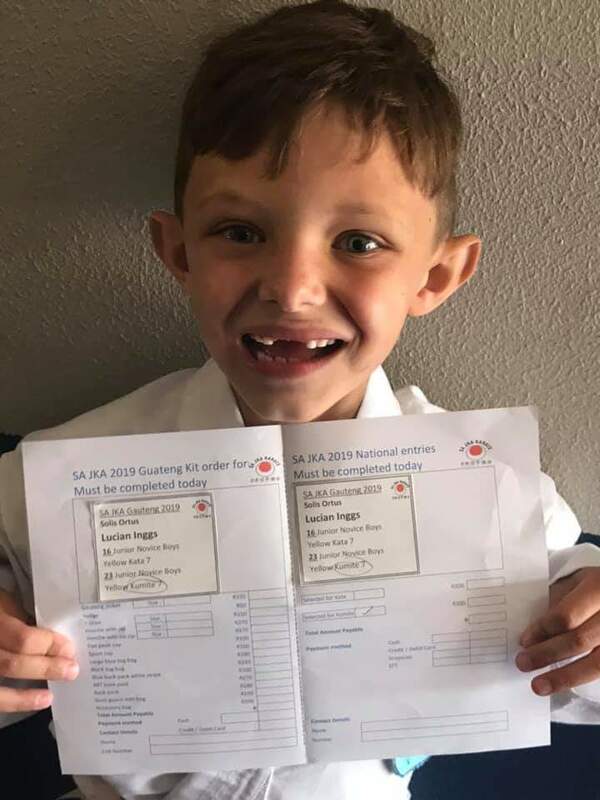 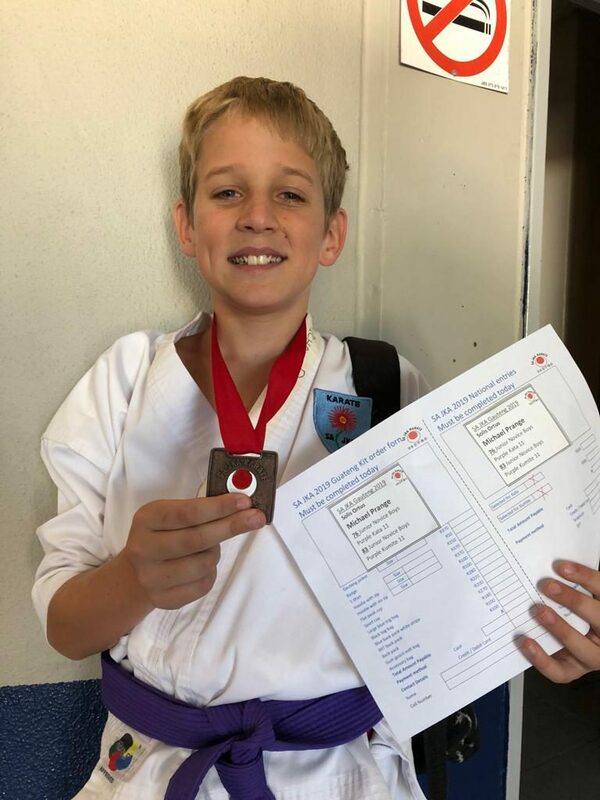 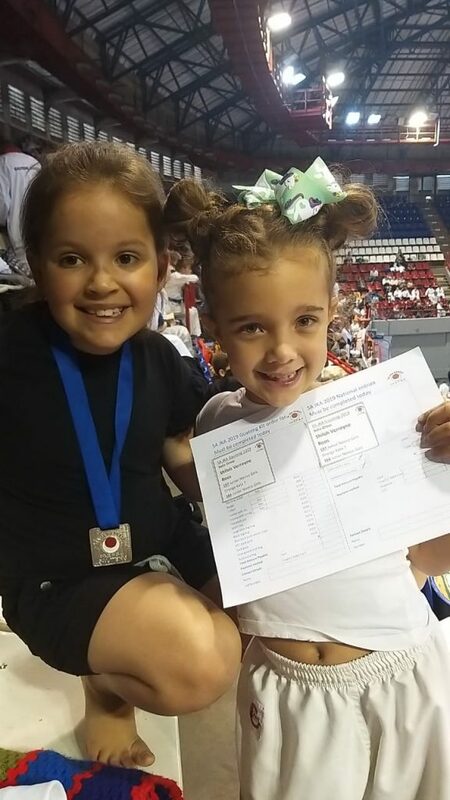 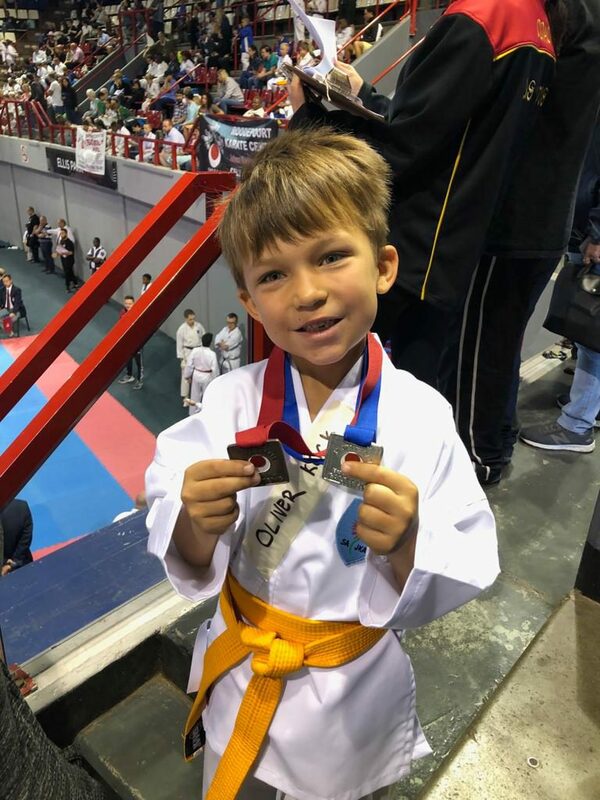 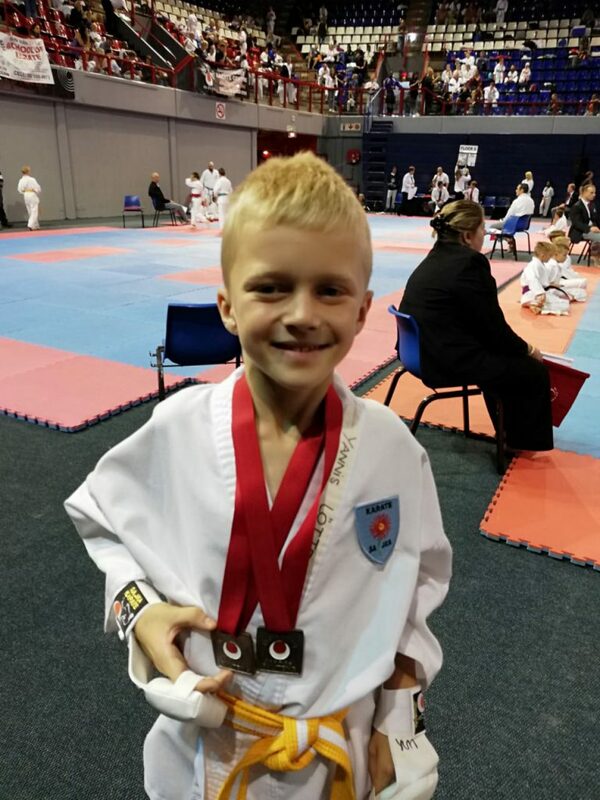 A huge thank you to Annschen van Zyl (Mother of Brown belt Winette van Zyl), Andre Myburgh (Father of mini Adriaan Myburgh and orange belt Anica Myburgh) and Ruan van der Westhuizen (father to white belt Yanika van der Westhuizen and Yellow Juan van der Westhuizen) who assisted as Managers for the Solis Ortus team. 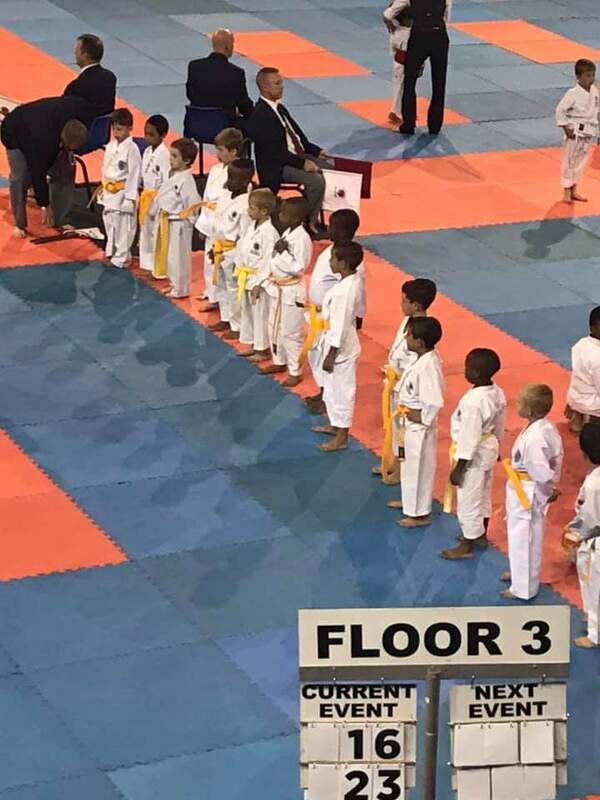 Without your assistance it would be a near impossible mammoth task to get our students to the floor, keep them calm and collected. 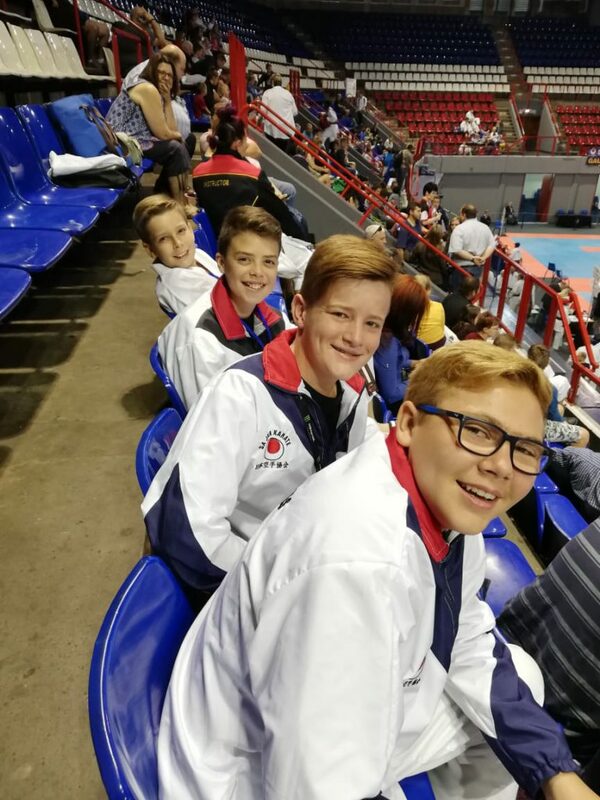 To Veronica Myburgh (main Coach), Beatrix Lotter-Moolman, Johan de Wit, Savannah Hauser and Winette Van Zyl, thank you for coaching the Solis Ortus Team, for being the familiar face next to the floor and offering the necessary motivational words when needed. 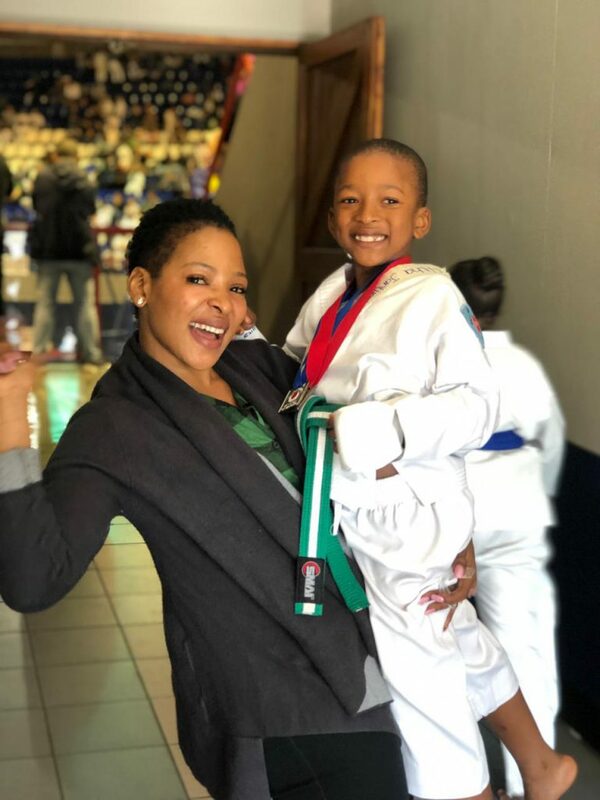 Your time and assistance is appreciated beyond measure. 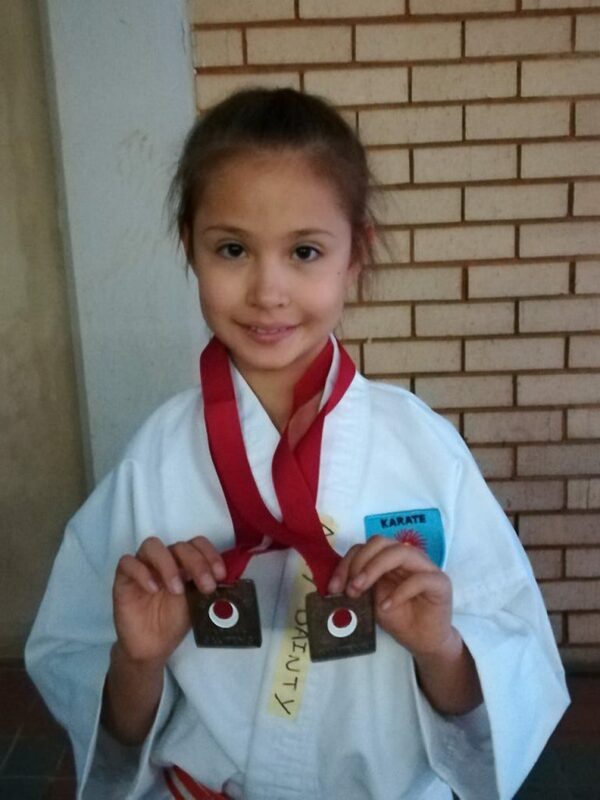 Now we start preparations for Nationals.